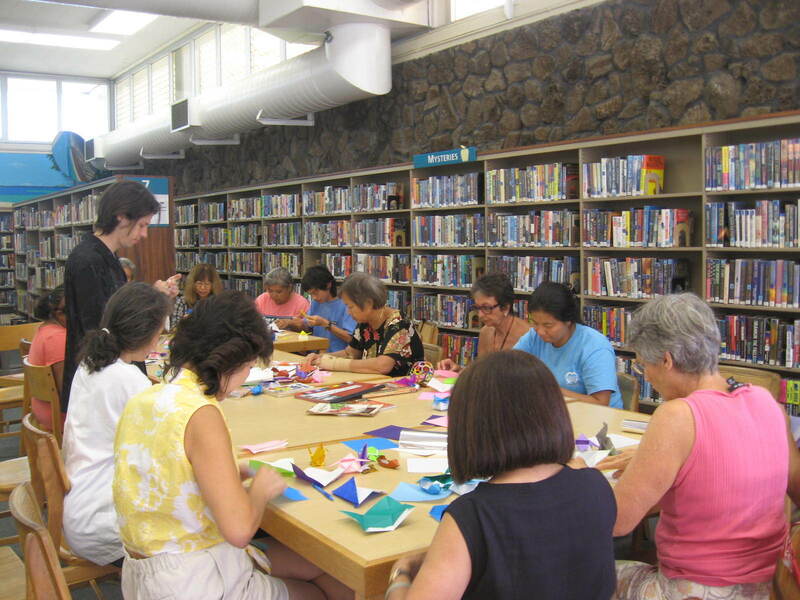 “The Art of Origami,” a free workshop, will be offered at Kapolei Public Library on Saturday, January 22 at 1 p.m. in the Main Lobby. Origami is the traditional Japanese art or technique of folding paper in a variety of decorative or representational forms, as of animals or flowers. Scott Macri, a member of the Hawaii Origami Club, will conduct this informational and interactive workshop about the many different forms of origami and provide step-by-step instructions on paper-folding for all skill levels. Paper will be provided for the workshop and participants can take home their origami models. Macri is a doctoral student at the University of Hawaii at Manoa’s School of Architecture, and has 15 years of origami-folding experience. He has created origami with many folding styles such as traditional, complex, wet-folding, unit, modular polyhedra, tessellations, crease patterns, origamics, science, and technology. In addition, Macri has taught origami folding at the Japanese Culture Club, the Honolulu Festival, and at various conventions. The three-hour workshop is recommended for ages 12 and older. Contact the Library two weeks in advance if a sign language interpreter or other special accommodation is needed. Kapolei Public Library is located at 1020 Manawai Street. For more information, please call the Library at 693-7050.